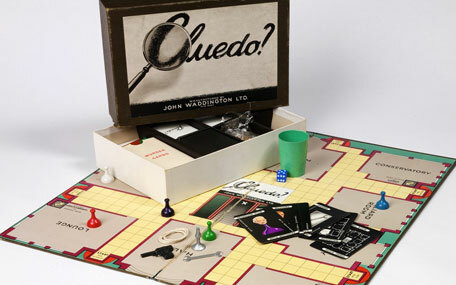 The Novium Museum, Chichester will be throwing the dice ready for a major national touring exhibition from the V&A which delves into the exciting, colourful and creative world of board games. Opening in March, the V&A Museum of Childhood's exhibition, Game Plan: Board Games Rediscovered will be free to visit and celebrates the joy, excitement and occasional frustration of playing board games. Game Plan presents some of the most iconic, enthralling and visually-striking games from the V&A's outstanding national collection. Alongside current family favourites such as Cluedo, Trivial Pursuit, and traditional games such as Chess, the exhibition looks at historical board games such as The Game of the Goose, as well as beautifully designed games from the 18th and 19th centuries. Events will range from board game evenings to an outdoor gaming event during the school Easter holidays. The museum will also host a Childhood Memories day, where visitors will be encouraged to share memories from their childhood, including cherished toys and games. The museum will also be displaying some items from its own collections which will reflect some of the childhood memories of the district's residents. This highly interactive exhibition will give visitors the opportunity to become part of one huge game. This game will direct visitors around the exhibition, and invites people to think about game playing in their lives, and what sort of player they might be. The Game Plan exhibition features games from around the world, and also explores the important role of design. Selected games are highlighted with a more detailed look at their history and influence. An early design of Monopoly before it was commercially mass produced will be one of the many fascinating exhibits on show. The Novium Museum has also been awarded a grant of almost £30,000 from the South East Museums Development Programme's Ready to Borrow Small Capital Grants Scheme, which is supported by Arts Council England. The funding has been used to further enhance the museum's gallery facilities so it can meet the requirements needed in order to receive loans from major collections, as well as touring exhibitions such as Game Plan. "Board games are currently experiencing a resurgence, and this exciting exhibition will offer a chance for people to indulge in their favourites," says Councillor Eileen Lintill, Cabinet Member for Community Services at Chichester District Council. "We hope that visitors will come and enjoy learning about the history of some of the most well-known games, as well as share memories and celebrate the joy of playing them. "Board games are enjoyed by people of all ages, and can create long-lasting memories which are passed down through generations. The extra activities that The Novium Museum has organised will create a warm and interactive atmosphere that whole families will enjoy and want to take part in." Game Plan will open at The Novium Museum on Saturday 17 March, closing on Sunday 1 July. It will replace the award-winning Tim Peake exhibition, which will close on Saturday 17 February. The V&A Museum of Childhood in Bethnal Green, London is part of the V&A family of Museums and the UK's National Museum of Childhood. It is the largest institution of its kind in the world; its mission is to explore art, design and performance through the material culture of childhood and to hold in trust the nation's childhood collections.